Under general supervision, Draftsman is responsible for preparing detailed working diagrams of machinery and mechanical devices, including dimensions, fastening methods, and other engineering information. • Develop detailed design drawings and specifications for mechanical equipment, dies, tools, and controls, using computer-assisted drafting (CAD) equipment. • Produce three-dimensional models, using computer-aided design (CAD) software. • Lay out and draw schematic, orthographic, or angle views to depict functional relationships of components, assemblies, systems, and machines. • Modify and revise designs to correct operating deficiencies or to reduce production problems. • Review and analyze specifications, sketches, drawings, ideas, and related data to assess factors affecting component designs and the procedures and instructions to be followed. • Drafting, Laying Out, and Specifying Technical Devices, Parts, and Equipment — Providing documentation, detailed instructions, drawings, or specifications to tell others about how devices, parts, equipment, or structures are to be fabricated, constructed, assembled, modified, maintained, or used. • Interacting With Computers — Using computers and computer systems (including hardware and software) to program, write software, set up functions, enter data, or process information. • Getting Information — Observing, receiving, and otherwise obtaining information from all relevant sources. • Thinking Creatively — Developing, designing, or creating new applications, ideas, relationships, systems, or products, including artistic contributions. • Communicating with Supervisors, Peers, or Subordinates — providing information to supervisors, co-workers, and subordinates by telephone, in written form, e-mail, or in person. • Create graphical representations of mechanical equipment. • Create images or other visual displays. • Design electromechanical equipment or systems. • Analyze design or requirements information for mechanical equipment or systems. • Engineering and Technology — Knowledge of the practical application of engineering science and technology. This includes applying principles, techniques, procedures, and equipment to the design and production of various goods and services. • Mechanical — Knowledge of machines and tools, including their designs, uses, repair, and maintenance. • Mathematical Reasoning — The ability to choose the right mathematical methods or formulas to solve a problem. • Visualization — The ability to imagine how something will look after it is moved around or when its parts are moved or rearranged. • Fluency of Ideas — The ability to come up with a number of ideas about a topic (the number of ideas is important, not their quality, correctness, or creativity). • Talk to and interview others to obtain a variety of information. • Prepare and organize a variety of information. • Effectively maintain good relations during contracts. • Establish and maintain cooperative working relationships with co-workers, outside agencies and the public. • Behave Ethically: Understand ethical behavior and business practices and ensure that own behavior is consistent with these standards and aligns with the values of the company. • Communicates Effectively: Speak, listen and write in a clear, thorough and timely manner using appropriate and effective communication tools and techniques. • Creativity/Innovation: Develop new and unique ways to improve operations of the company and to create new opportunities. • Foster Teamwork: Work cooperatively and effectively with others to set goals, resolve problems and make decisions that enhance organizational effectiveness. • Lead: Positively influence others to achieve results that are in the best interest of the company. • Make Decisions: Assess situations to determine the importance, urgency and risks, and make clear decisions which are timely and in the best interest of the company. • Organize: Set priorities, develop a work schedule, monitor progress towards goals and track details/data/information/activities. • Plan: Determine strategies to move the organization forward, set goals, create and implement action plans, and evaluate the process and results. • Solve Problems: Assess problem situations to identify causes, gather and process relevant information, generate possible solutions and make recommendations and/or resolve the problem. • Work at a desk for an extended period of time. • Work in an office environment, lift and move objects up to 15 pounds such as large binders, books, and small office equipment. • Sufficient finger/hand coordination and dexterity to operate and adjust office equipment. • Regularly uses a telephone for communication. • Use office equipment such as computers, copiers and FAX machines. • Sits for extended periods of time. • Hearing and vision within normal ranges with or without correction. • Standard workweek but may be required to work some evenings and weekends to meet project milestones. • Usually will work in an office environment but the purpose of the project may sometimes take employee to non-standard workplace. • Sun exposure: 10% or less work time spent outside a building and exposed to the sun. • Irregular or extended work hours: Occasionally required to change working hours or work overtime. Four years of increasingly responsible experience in mechanical drafting. Any combination of education and experience which would likely provide the necessary knowledge and abilities is qualifying. Completion of a Bachelor’s Degree from an accredited college or university in drafting, mechanical engineering or closely related field of study, OR any combination of education and experience which would likely provide the necessary knowledge and abilities deemed appropriate by the General Manager. The roots of COE began simply in 1970 when Lyman & Lois Coe purchased a catching frame as a way to save money on the harvest of their 10 acre prune ranch and to make some supplemental income by using the machine to custom harvest some neighbor’s prunes. Within a few years the custom harvesting business had grown enough that Lyman decided to quit his day job to focus on growing the custom harvesting business. Lois would run the bookkeeping & run parts during harvest in addition to being a full time mom. Lyman now had the time to harvest more crops which would take him as far as Texas to harvest pecans & Oregon to harvest cherries in addition to the peaches and prunes he harvested locally. During the off season Lyman would make improvements & modifications to the equipment purchased from shaker manufacturers to improve their reliability & performance. In the late 70s pistachios started to come into production which added another crop to harvest and COE’s first full time employee besides Lyman. By the mid-80s the decision was made that to keep a steady well trained year round crew for harvest & to help provide more reliable & productive equipment COE would start manufacturing its own equipment. Lyman also thought he could sell a few machines to the public. The response to COEs first simple & affordable catching frame was overwhelming & by the early 90s COE was outselling its competitor in the catching frame business. Growth continued through the 90s with the introduction of the Thunder Head shaker head & C7 series of wheel motor driven shakers that helped make harvest more productive & reliable than ever before. Early in the 90s COE moved its manufacturing facility from the original prune ranch to a larger facility in Biggs to keep up with demand in both domestic and export markets. In the mid-90s COE introduced the revolutionary L2 series receiver which increased harvest productivity further. By the end of the 1990s Lyman & Lois had purchased a 45 acre prune orchard adjacent to highway 99 between Gridley and Yuba City to develop a brand new manufacturing facility. In 2001 COE moved into the current factory. The additional space allowed COE to work on development of the new S7 & M7 tree shakers for almond, walnut and pecan harvest as well as additional equipment lines for bulk handling. Domestic & Export markets continued to grow as well as the COE dealer network. In 2010 COE expanded its factory with a 45,000 square foot addition to further meet the growing demand for its products. A new factory expansion is on the horizon for 2016. COE is a family owned & operated business. Lyman & Lois still own the company & oversee the operation that is run by their son Matthew along with a group of talented and dedicated product managers, service technicians, office staff, machinists, assemblers and fabricators. The COE family & its employees are proud to be part of an industry that helps to deliver innovative harvesting solutions on a global scale. Since the first COE machine entered the field our dedication has been to deliver the most innovative harvesting equipment available. Every machine is designed and built with the foundation of Lyman’s innovative nature and renegade spirit that doesn’t settle for the status quo. COE equipment while sophisticated has a simple attractive design, easy access to components and service points, uses the highest quality components and is made to perform like no other harvest equipment available all while being more reliable. 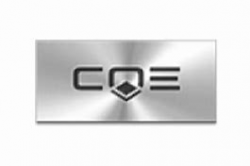 The success of COE is directly related to the respectful nature of the company. From the ownership, management, employees, to customers as well as vendors COE strives to create a respectful & productive working environment & relationships. The COE factory is located in the agriculturally rich area of Northern California adjacent to highway 99 about an hour north of Sacramento. Two main buildings make up the factory totaling 100,000 square feet. One shop is dedicated to fabrication & the other to assembly. Using state of the art tooling allows COE to control more components and processes resulting in the highest quality product. CNC (computer numerically controlled) equipment is used extensively throughout the operations from the machine shop, band saws, press breaks, laser & high def plasma tables to turn out consistent products. The newest addition is a robotic welding station to speed production of complex sub assemblies. A 12’ x 35’ powder coating oven provides for the best looking & most durable finish on every COE product that we build. Machines are then hand assembled by skilled technicians & fully tested prior to shipment to customers around the world.